Twenty modern mandalas, featuring fun shapes and intricate patterns, for relaxation, stress release and the sheer joy of coloring in. Grab your colored pencils and let your imagination loose for a calming artistic experience, whether you’re looking for a meditation aid or a way to distract yourself from the stresses of modern living. Printed on one side of the page only. Hours of fun and relaxation for adults and older children. Teachers and art therapists may copy individual pages for classroom use. Three copies of each of the twenty modern mandalas, featuring fun shapes and intricate patterns, for relaxation, stress release and the sheer joy of coloring in, found in Sharing the Journey Coloring Book ~ Mandalas. Printed on one side of the page only. This edition gives you the freedom to experiment with different color combinations on each of the mandalas – without having to resort to copying the patterns you want to recolor. This journal combines the magic of coloring mandalas with journal work. Ten full-page mandalas and over a hundred miniature mandalas for you to color in while you write. A hundred pages for recording your thoughts and doodles. Features ten guiding reflections from Sharing the Journey: Reflections of a Reluctant Mystic by the same author. This edition of the journal is for those who simply want to do their own thing. A hundred and ten pages for recording your thoughts and doodles. 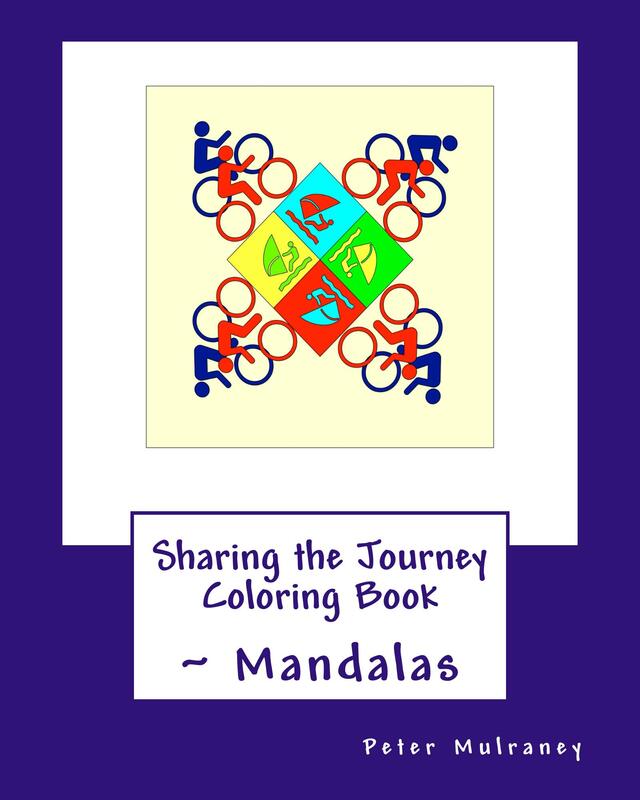 This edition of the journal has twenty more pages for recording your words and contains a different selection of mandalas – chosen for those who prefer to color in larger spaces and less intense diagrams.